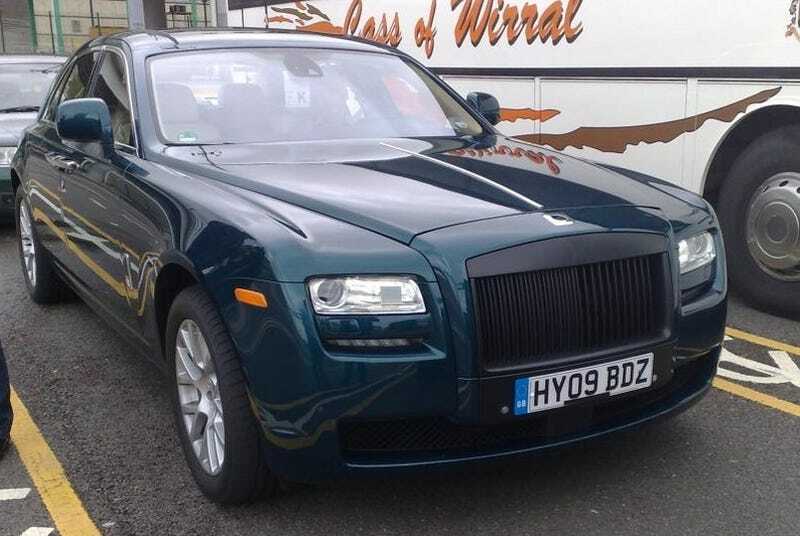 The 2010 Rolls Royce Ghost will be the Roller for the hobo in your family. If your family is British and royal. Which must be why it was spotted sans-camouflage in England. Apparently BMW isn't concerned with keeping the production version of the Rolls Royce 200EX Concept under wraps. This one was making the Calais to Dover ferry crossing in England with very little obscuring the styling. About the only thing here which isn't production is the black grille, destined for a prominent display of chromed flash. The car doesn't vary much from the concept, with a subtle change to the bumper, colored turn signals and revised center IP stack.